TS Tribal Welfare Residential Schools Sanction District wise list in Telangana tstwreis.in : Telangana District Wise Tribal Welfare Residential Schools Sanctioned List. TS Tribal Welfare Gurukula 34 Girls Schools Sanction for tstwreis. Telangana Tribal Welfare Residential 16 Boys Schools Sanction. Telangana State - Tribal Welfare Department - Tribal Welfare Department - Sanction of (50) Tribal Welfare Residential Schools - Orders – issued. TS Tribal Welfare (EDN) Department G.O.Ms.No.21, Dated 02 -06- 2016. Telangana TW Residential 50 Schools Sanctioned GO. 1. The Government of Telangana is keenly interested in the Social, Educational and Economic Development and Welfare of the Tribals in the State, and felt that there is need for opening number of new Tribal Residential Schools in different parts of the State for the Educational upliftment of the Tribal Community. 2. 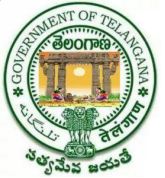 In the reference read above, the Secretary, Telangana Tribal Welfare Residential Educational Institutions Society, (Gurukulam), Telanagana, Hyderabad has submitted proposals for opening of (50) new Residential Schools for S.Ts in the State. 4. This order issues with the concurrence of Finance (HRM.II Department vide their U.O. No.6005-E/138/A1/HRM.II/2016, Dt.12.05.2016. 5. The Secretary, Telangana Tribal Welfare Residential Educational Institutions Society, (Gurukulam), Telanagana, Hyderabad, shall take necessary action accordingly. TSTWREIS District Wise Residential Schools Sanctioned list TS Gurukulams New Residential Schools List, New Ts Tribal Welfare Telangana Sts Residential Schools List Girijana Gurkula Vidyalayas.